Saint Mary's College welcomes students from around the globe. 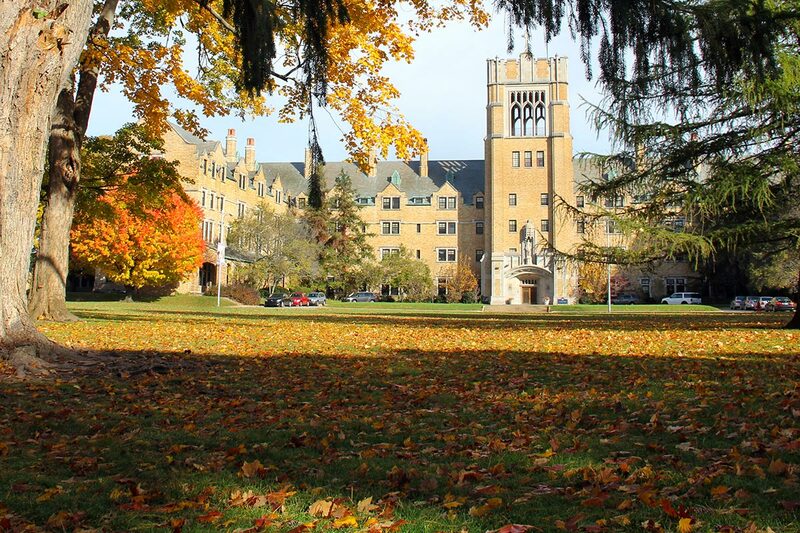 Located in the United States midwest region, about 1 1/2 hours from Chicago, Saint Mary's College is a small, private undergraduate college for women offering more than 50 academic programs. Our most popular programs include business administration, communication, nursing, education, and the sciences. Graduate programs for women and men were launched in the fall of 2015. The College is ranked among the top 50 best value liberal arts colleges in the nation. As a Catholic women's college, we will prepare you to become a global leader in your field by providing a student-centered environment which ensures personal attention from faculty. We give you a voice in the classroom and help you to develop intellectually as well as personally. Our community includes more than 1,600 students who come from all over the United States and from 10 countries. International students are guaranteed on-campus housing for all four years in one of our five residence halls.